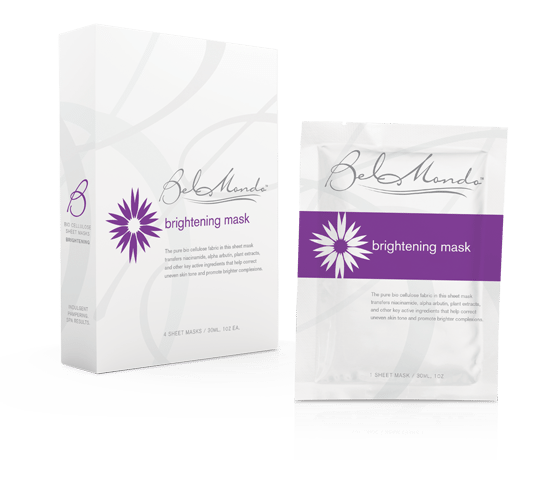 The pure bio cellulose fabric in this sheet mask transfers niacinamide, alpha arbutin, ascorbyl palmitate, plant extracts, and other key active ingredients that help correct uneven skin tone and promote brighter complexions. 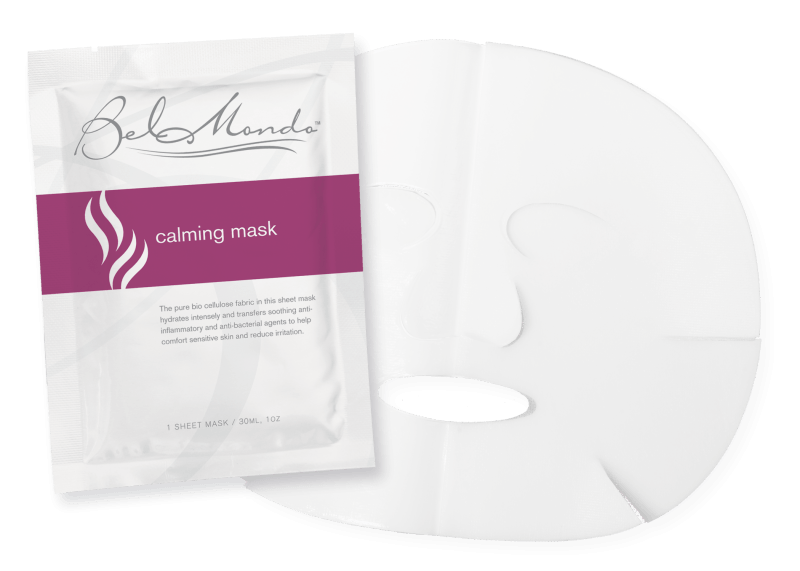 Bel Mondo’s facial masks are produced naturally from pure microbial cellulose – not manufactured from coarse cotton. The tightly-woven fibers in our masks adhere like a second skin and excel at transferring nourishment. 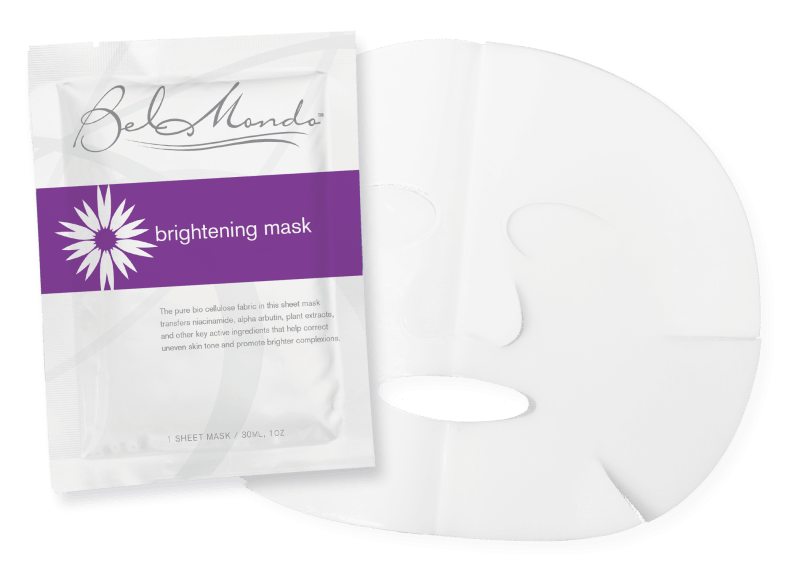 Treating your skin with Bel Mondo is like visiting your favorite spa. Cleanse skin thoroughly. Remove mask (middle layer). Align openings for eyes, nose, and mouth and apply. Smooth air bubbles toward mask edges, until fabric adheres tightly. Allow ingredients to absorb for 20 minutes before removing. If ingredients remain, massage in gently. For best results, use twice weekly. Cautions: For external use only. Keep away from children. Store at room temperature. Discard after one use.